The Colorado Avalanche Hockey Club announced today that the team has acquired defenseman Brandon Gormley from the Arizona Coyotes. In return for his services, the Avalanche gave up the rights of defenseman Stefan Elliott. 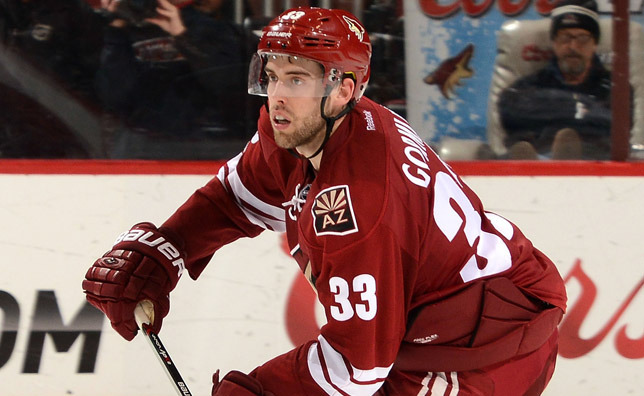 Gormley, 23, was the Coyotes' first-round pick (No. 13 overall) in the 2010 Entry Draft. He appeared in 27 games for Arizona last season, tallying four points (2g/2a). He also played for the Portland Pirates of the American Hockey League in 2014-15 where he recorded 10 points (3g/7a) in 23 regular-season games and five points (1g/4a) in five postseason contests. The Murray River, Prince Edward Island, native has appeared in a total of 32 NHL contests (2g/2a) since making his debut in the league with Arizona on March 10, 2014 at Tampa Bay. The 6-foot-2, 196-pound blueliner has also represented Canada on the international stage at the 2012 World Junior Championship. Gormley will be reporting to Avalanche training camp, which begins Sept. 17.